Does eating mangoes get you higher? You’ve heard tales of advanced pot users using mangoes to maximize and enhance their cannabis high. Users naturally wonder about: when smoking weed, how to get higher. Does mango intensify your high? If you’re ready to smoke pot right now, the answer is Yes! Just have your mango or mango juice and weed in this order: eat the mango 45 minutes before you smoke your cannabis blunt. So off you go, read on for details. Marijuana and mango could be the perfect combination to demonstrate how to get high faster. What’s the science behind enhancing cannabis with mango? What users really want to know is how to make a weed high last longer. The answer is apparently a chemical in the mango called myrcene. The idea comes from anecdotal reports from bud users that myrcene can enhance the levels of thc and potentiate the effects of any strain of cannabis you use. Myrcene is a terpene. Terpenes are known for producing the powerful aromas of pot. These terpenes have an interaction with the other components of cannabis to produce a stronger, faster, boost to maximize the impact of cannabis on your experience. All the flavors and aromas you experience when you smoke are produced by terpenes. Mango adds some digesting myrcene to the mix, producing a higher load of terpenes interacting with the cannabinoids affecting your nervous system and producing profound relaxation and pain relief. It is known that the effect of marijuana relies on the interaction of all the cannabinoids, terpenes, THC, CBD and the chemistry of the body, and also in this case, with the myrcene in the mangoes the patient has consumed. Users claim that this approach produces a superior cannabis high. Myrcene is a terpene with a potent smell. It is present in many plants, including marijuana, mangoes, basil, and thyme leaves among others. Industrially, myrcene is used in producing perfumes and scents. Marijuana can cause a stimulant effect. It is thought that myrcene is one of the chemicals responsible for causing the stimulation and anxiety to yield to profound relaxation and euphoria. It produces couch lock, which makes you feel too comfortable on the couch to move. Marijuana varieties which contain up to 0.5% myrcene produce more couch lock and sedative effects. Therefore, by taking extra myrcene, you can ensure that your experience will be stronger and there will be a lot more sedation. Myrcene itself may have some pain-relieving effects. There is also some evidence that it may cause a more powerful uptake of marijuana when it is present in substantial amounts. Using mangoes to increase your weed high is as easy and picking a nice, ripe mango, slicing it up, and eating it 45 minutes before you smoke. 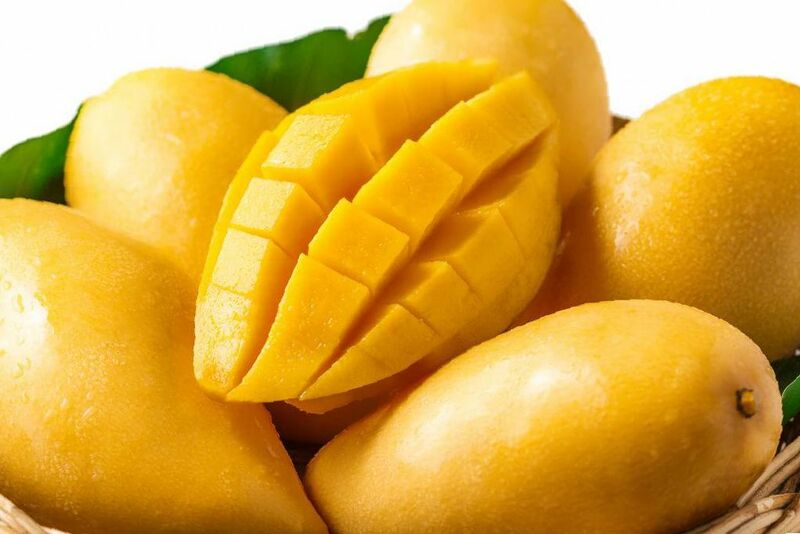 You will have delicious, healthy fruit in your belly, with a high myrcene content, then smoke a delicious strain of weed with the mangoes digesting in your stomach, slowly releasing the sedative, analgesic myrcene into your blood stream, causing a stronger uptake of cannabinoids and a stronger couch lock and sedative effect. The effects will be like having smoked a strong Indica. If you are using a more stimulating variety, eating a mango several minutes before will make the effect more relaxing so that you can function even on a highly stimulating strain. If you combine it with a strong Indica like an OG Kush, you can expect the sedative effects to be even more pronounced. You will be locked to the couch and your thoughts will be more exploratory and introspective. This can be a good way to treat conditions such as insomnia and the couchlock will certainly help whisk you away to sleep. Myrcene has analgesic properties as well. You might take a sedative strain with high THC levels, or you might want a strain with high CBD levels such as the ACDC strain. CBD has analgesic properties of its own. Therefore, combining THC, CBD, and myrcene may result in more effective pain relief than using either of the ingredients alone. This is known as the entourage effect of the components of marijuana. This endeavor is worth a try for beginners or advanced weed users for medical or recreational purposes. 1 Does eating mangoes get you higher? 2 What’s the science behind enhancing cannabis with mango?